Group of five (5) walking sticks. 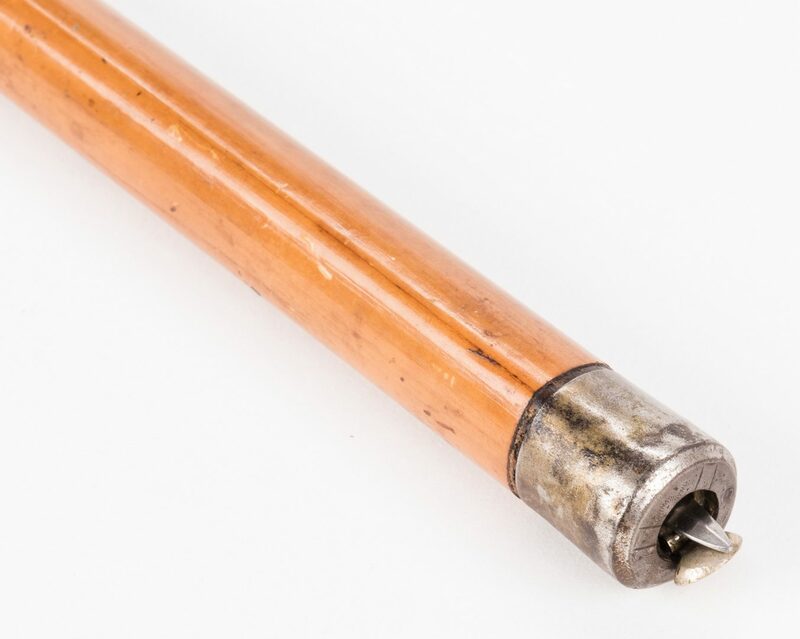 1st item: Tippler's walking stick, copper handle and collar, maple shaft with interior fitted glass tube and small drinking glass. 36" L. Late 19th century. 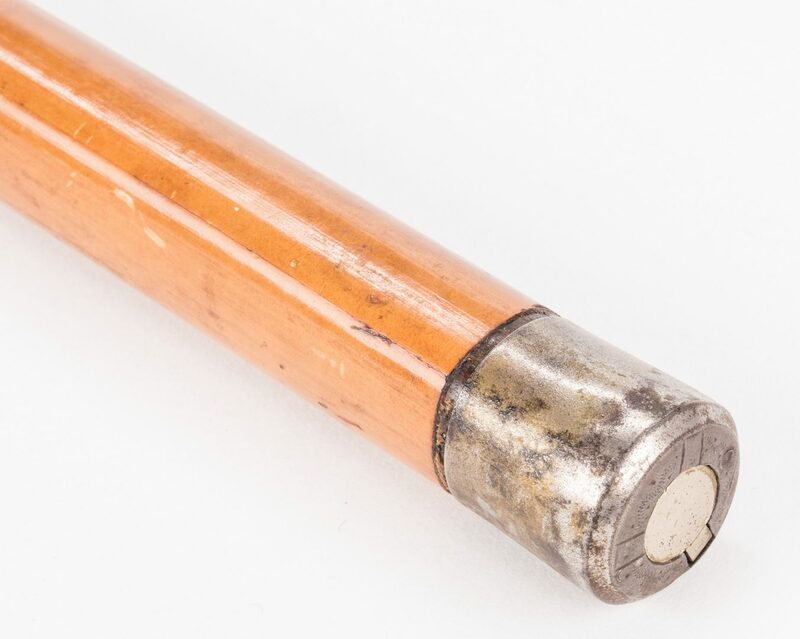 2nd item: Flick stick walking cane, fruitwood shaft with 5" L sword blade hidden in handle. 33 3/4" L. Late 19th century. 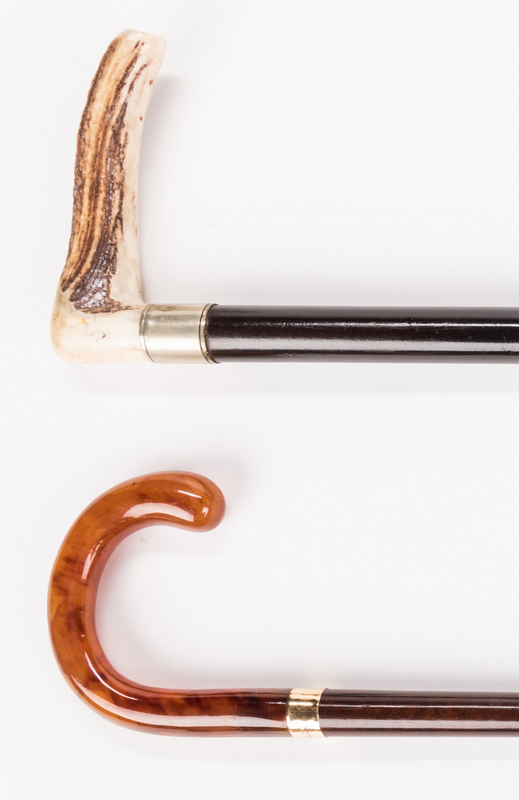 3rd item: Horn handled walking stick with curved horn handle and 14k gold collar, engraved, hardwood shaft and horn end cap. 35 7/8" L x 4 1/4" W. Early 20th century. 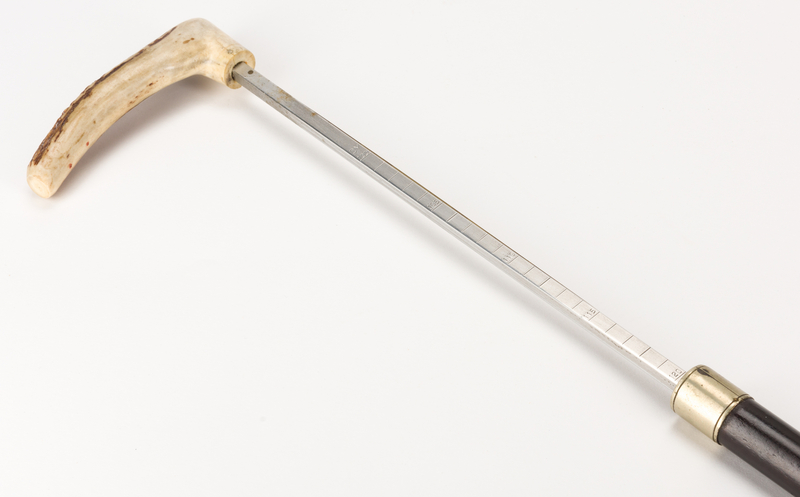 4th item: Horse measuring walking stick with antler handle and ebony shaft. 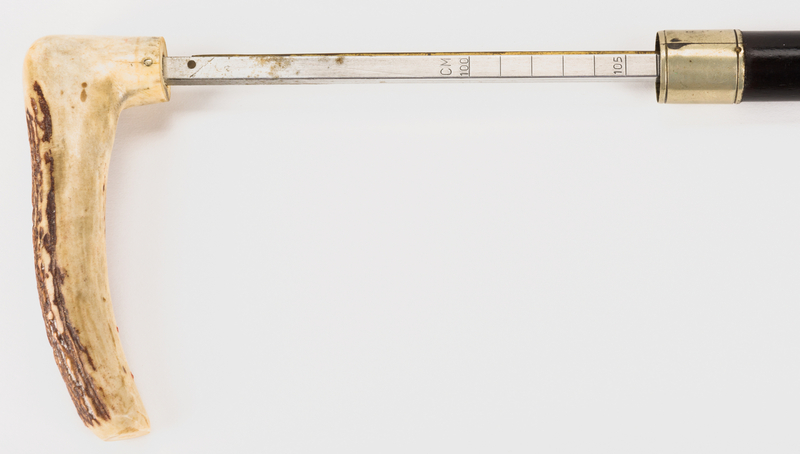 Handle pulls out to reveal a level and ruler in Centimeters and Hands. Stick – 37 3/4" L x 5 3/8" W. Late 19th/early 20th century. 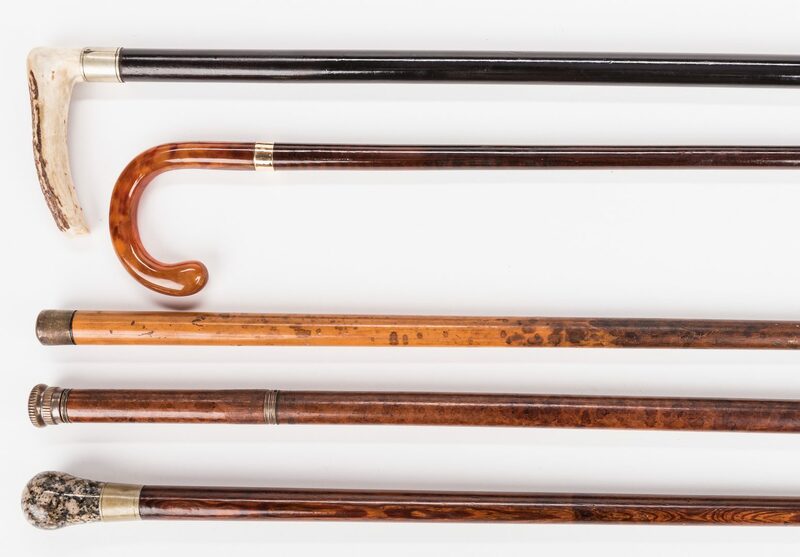 5th item: Polished granite knob and rosewood walking stick. 36" L. Early 20th century. 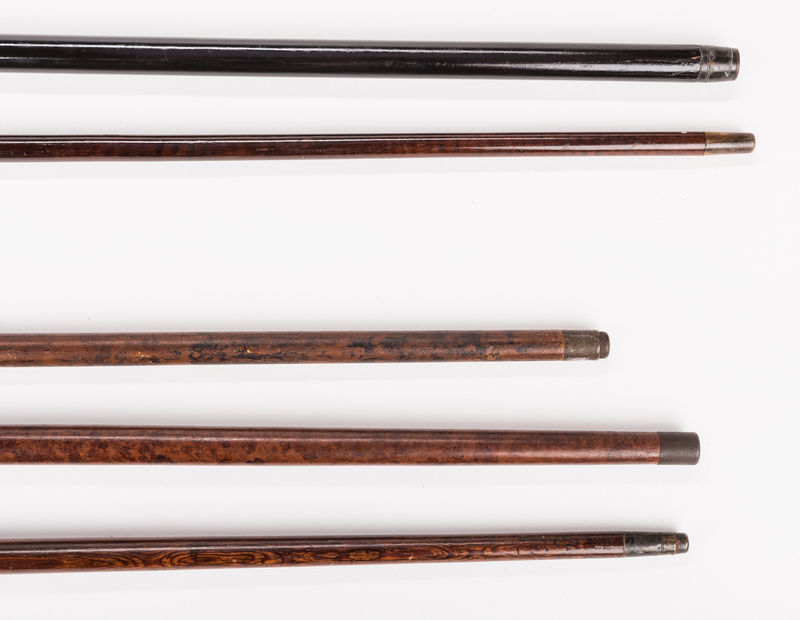 5th item: Antler horn handled and ebony walking stick. 37 7/8" L x 5 1/2" W. Late 19th century. CONDITION: General surface wear and scratching overall with minor sticker residue on walking sticks. 3rd item: scattered surface cracks to horn handle.